A winning Virginia Lottery ticket has been bought in Gainesville. 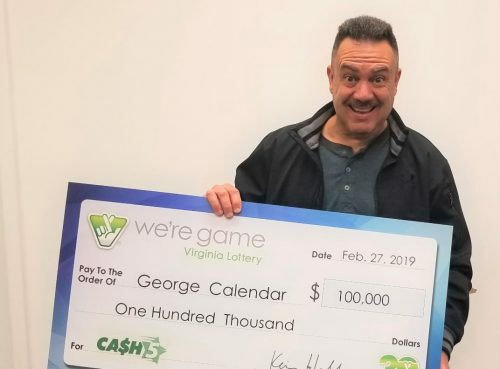 George Calendar, a United States Navy veteran, recently won $100,000 from lottery. The numbers — 7-9-23-26-29 — matched with a drawing held on February 17. “I had to do a double take,” Calendar said. Drawings for the Cash 5 game occur at 1:59 p.m. and 11 p.m. each day. Players have a 1 in 278,256 chance of winning $100,000.